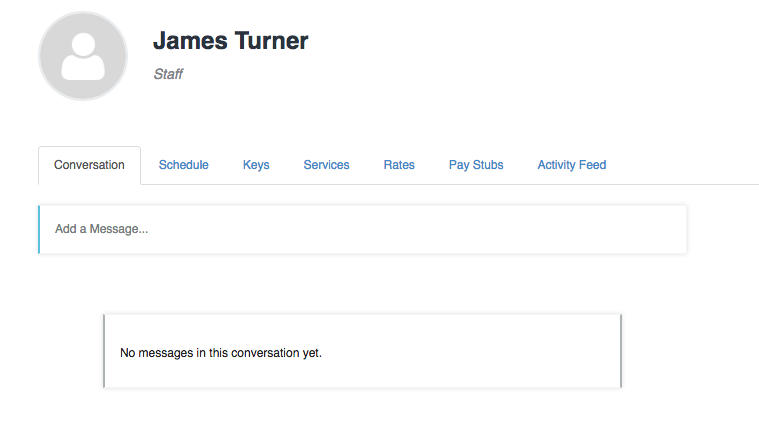 Every staff member has a dedicated Conversation Feed where you can communicate directly with each staff member. The Conversation Feed will store a complete history of every message sent and received through the Conversation Feed. 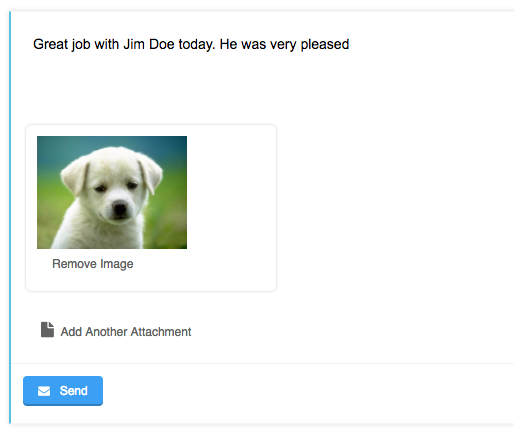 By default, messages sent through the staff's Conversation Feed will be delivered by email. If your Company has text messaging enabled, these messages can also be delivered by text message. Similarly, if you have Text Messaging enabled, your staff can text your Company number, and the message will be automatically added to their Conversation Feed. Begin typing your message. You can also add any number of attachments by clicking the 'Attachment' button. You can also remove already attached files by clicking the "Remove Image" link under each attachment. When your message is ready, click the "Send" button.